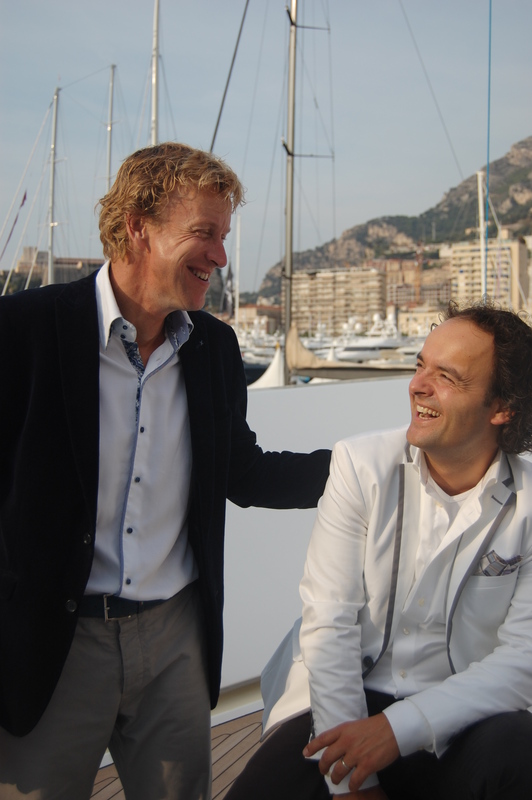 Vripack is a yacht design and naval architecture company which is based in the Netherlands and has been involved in creating world class motor yachts for many years. Vripack undertakes naval architecture, hydrodynamic research, small craft and superyacht tender engineering as well as interior and marina as well as mechanical engineering. 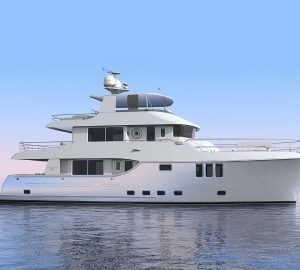 Vripack's Naval Architects use a combination of in-house knowledge, sea trial experience and computer-aided prediction methods to design hull lines with satisfy the overall performance requirements. During this process, detailed hydrodynamic research plays a vital role in meeting the expectations. The main focus is towards development of hull lines, appendage design with respect to power, manoeuvrability and sea keeping characteristics. Crucial tools in this process are computational techniques and model assessments. "Vripack was launched in 1961, combining the design and sale of yachts in a single dedicated company. The untimely death of my partner forced a change into a one-man firm in October 1965, a status retained until Vripack became a limited company 30 years later. Back in 1965, the market trend was still primarily toward smaller motor, sailing and flat-bottomed yachts. Two of our most important designs from this time were undoubtedly the Argonaut sailing yacht and Aquanaut motor yacht series. The first of our trail-blazing Doggersbank motoryachts was launched in 1968. The prototype measured a modest 10.8 metres, but by 1971 we had completed a 15-metre Doggersbank, with a 19-metre version appearing in 1973 and a 24-metre model a year later. Over the decades since, more than 500 Doggersbank yachts have been built in a multitude of different versions. 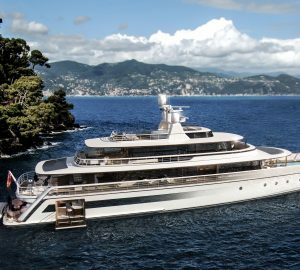 By the spring of 1987, the risks involved in complete yacht builds had become prohibitively high. 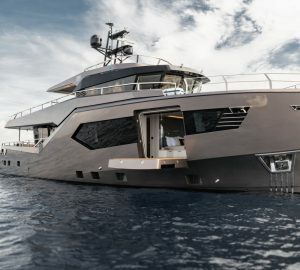 Vripack closed down its sales office and concentrated on its core business of yacht design, while I had to trim my staff down to just three people. A few difficult years followed until the arrival of computer technology changed everything. The enormous in-house experience accrued by Vripack during two decades of project management meant that we were uniquely proficient in the countless aspects involved in the design of a yacht. With new technology at hand, this expertise now found an exceptionally efficient application. As computerised nesting developed, many construction activities shifted from yard sheds and workshops to design offices. The last 20 years have seen a genuine revolution in yacht design, engineering and building. I am proud of the way Vripack has led the way in optimising the possibilities of CAD/CAM technologies and set new standards in design capability. The Naval Architecture Department is one of the 'core' disciplines of Vripack, staffed with professional designers, naval architects and engineers who facilitate internal projects and departments as well as outside clients with a variety of tasks. 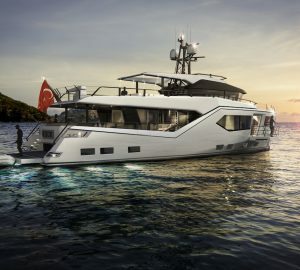 These include concept development, hull form development, design work, consulting, documentation and a variety of follow-up disciplines to assist yacht owners and yards in the various phases of building, converting or modifying a yacht. The Small Craft Engineering department is one of the most versatile departments of Vripack. This department does cover a very wide range of skills dedicated to yachts below 24m, constructed from steel, aluminum, composite, wood or any combination. From displacement, semi planning or full planning, from one-off to series production yachts; this department has a clear focus on ‘Production Driven Engineering’. The Vripack Yacht Engineering department of Vripack is responsible for the disciplines referring to construction drawings, lofting and fairing, CNC data, outfitting production information. The Yacht Engineering team has all the knowledge and skills to make clever construction designs which are efficient to build. The output of this department can vary from basic construction or assembly drawings to very detailed, 3D supported, building kit packages. Marina and Mechanical Engineering. The large amount of Vripack's in-house knowledge generates an extremely valuable contribution to a yacht's construction in the field of piping and mechanical systems. Building efficiency and maintainability are two major key words. By full 3D engineering a valuable contribution is generated to engineers and captains but above all to yards and their subcontractors. Building efficiency is being achieved by detailed building preparation with full integration of the yard standards into our drawings to ensure a smooth and harmonized building process. Each customer can generate their own required engineering information level by using the Production Information Package (PIP) levels. Hydrodynamic research is the key component in the development of lines plans. This ensures optimum performance towards the original design specifications. Vripack is cooperation with the leading authorities in this field. Model research and providing hydrodynamic research (both computational and model analysis) for yachts and commercial vessels are being achieved in close cooperation with knowledge centers located all over the world. During calm water tests, propulsion performance is determined and optimized by means of scale models. Such models are exact miniature replicas of actual hulls, including all other items likely to affect the results. The model will be towed and propelled through long basins at various speeds. This yields information on factors such as hull resistance, powering, wave patterns, flow patterns, and propeller-induced noise and vibration. Sea keeping qualities, such as comfort at anchor and in transit, as well as structural integrity, are also calculated and tested. It is increasingly important to review the 'zero speed/at anchor' performance and to optimize the relevant requirements in hull form and appendage design. Manoeuvring and sea keeping performance are crucial. Roll stabilization, collision avoidance, harbour navigation and course keeping in calm water as well as in stern-quartering waves all need to be excellent. Also other manoeuvres such as turning on the spot or steering the yacht stern to into a berth also need to be perfected. Dedicated work on appendages can also drastically improve onboard comfort and manoeuvrability.